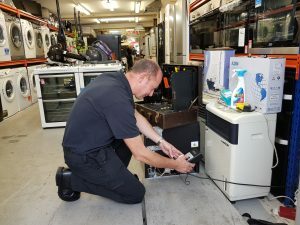 Following serious fires in London caused by defective domestic appliances, London Trading Standards have been inspecting second-hand electrical shops across the capital this month. 18 Boroughs took part and found product safety issues at over a third of the 91 premises visited. 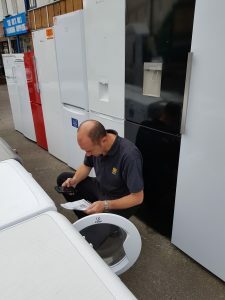 The results were released on Day 5 of London Trading Standards Week (25-29 September) which is focused on how Trading Standards can help prevent Londoners being killed or injured by unsafe domestic goods. The visits are still ongoing and as part of the campaign Officers provide all the shop owners with advice on the relevant safety regulations along with practical tips on the steps they can take to ensure dangerous goods are not sold. These include electrical safety tests, providing safe usage instructions and checking if products have been subject to a safety recall. At one premises a faulty tumble dryer was identified and subsequently removed from sale. The dryer was subject to a product safety recall due to an inherent fault. 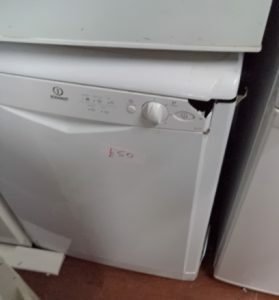 At another shop, a damaged dishwasher with exposed live wires was found and was subsequently scrapped by the trader. In addition, a shop owner voluntarily agreed to withdraw from sale 29 electrical appliances, 4 gas cookers and 3 sofas. These will all be destroyed. Boroughs have also been providing advice to students about checks they can make on appliances supplied in their rented accommodation, including how to find out if the products have been subject to a recall. “It is shocking how many fires are still caused by domestic appliances. 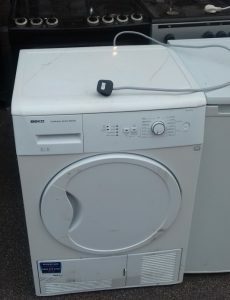 The second hand market sells many tumble dryers and other electrical goods which could be dangerous and I applaud the work of London Trading Standards in investigating second hand appliances. 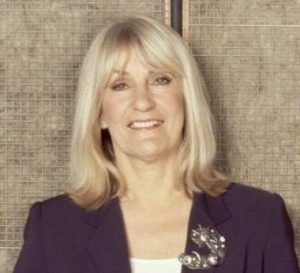 People with less money often have no other real option but to buy second hand, so it is really important that the machines they buy are safe”. The aim of London Trading Standards Week is to promote and raise awareness about the wide range of work carried out by Trading Standards Services across London.